How sweet! 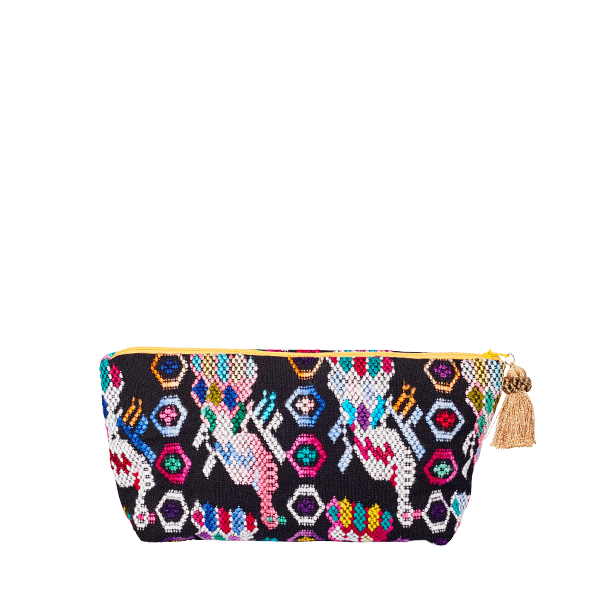 This MARYSAL pom pom cosmetic bag is much more than just a storage place for lipstick, make-up, rouge and mascara. 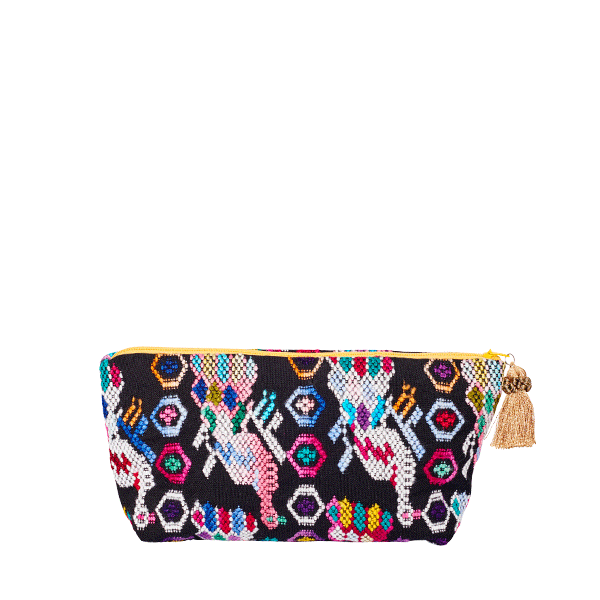 Made by hand from original handwoven fabrics of the Maya Indians, each of our pom pom boho pouches is unique. 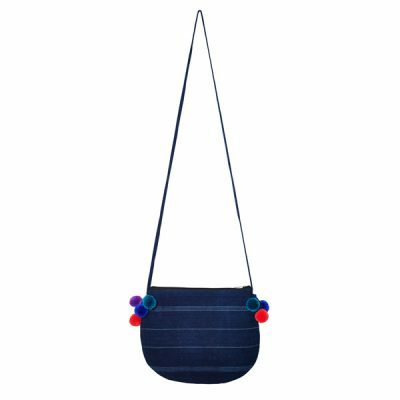 The cute little pom pom cosmetic bag not only puts you in a good mood, it is also very versatile. 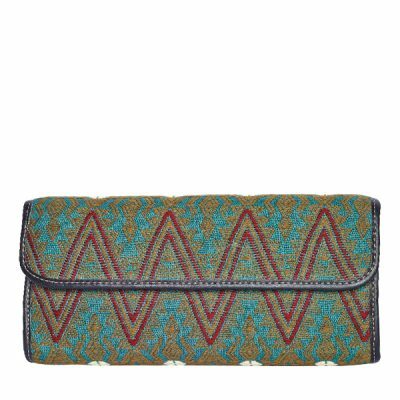 You can not only use it as a bag in bag, but also as a clutch to complete your boho outfit. 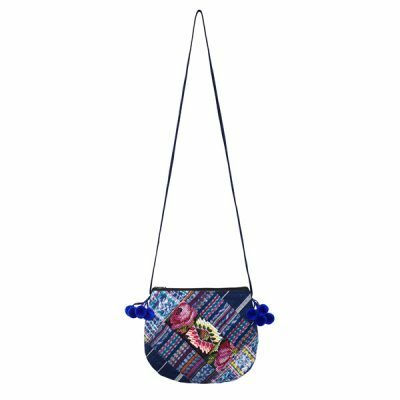 PLEASE NOTE: The bag worn by the model on the picture is an example of size & style. 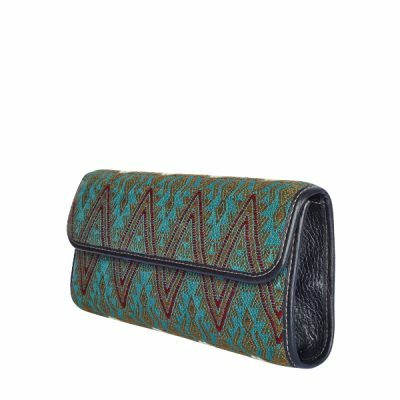 It’s pattern is very similar to the bag offered here but not exactly the same.